While a collision with an asteroid led to the extinction of the dinosaurs, a new hypothesis suggests that radiation from an ancient star explosion might have wiped out most prehistoric ocean life, including the famous Megalodon shark. A China University of Geosciences team led by Associate Professor Xing Lida will start looking Wednesday in the Hebei Province city of Chengde for footprints that he first learned about in a document 26 years ago. 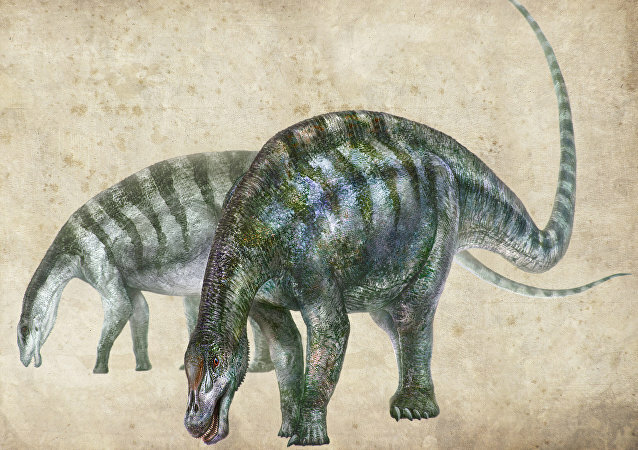 Scientists in China's Lingwu region have discovered the fossils of an early member of the long-neck, plant-eating dinosaur group called the sauropods, they revealed in a study published Tuesday in the peer-reviewed journal Nature Communications. 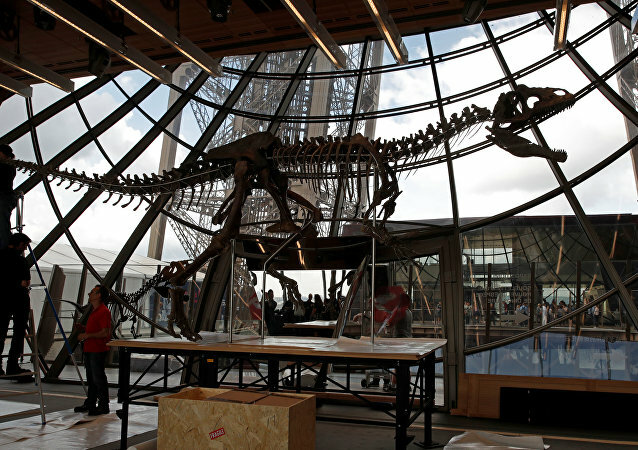 A 30-foot-long, 9-foot-tall skeleton of an unidentified dinosaur sold for more than $2.3 million at an auction held on the first floor of the Eiffel Tower in Paris Monday. 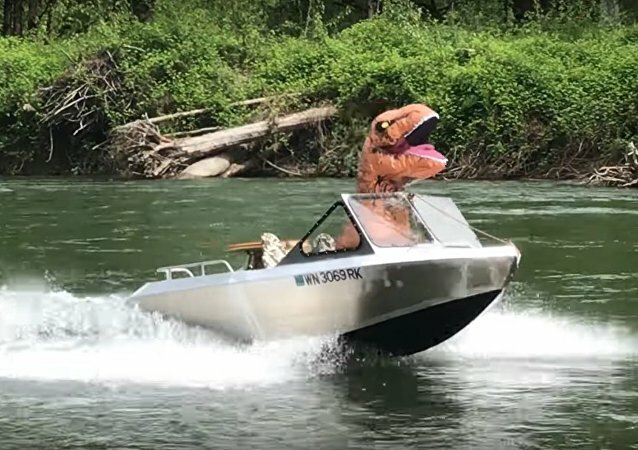 A man dressed up in a Tyrannosaur costume decided to take a boat tour in Snoqualmie, Washington, USA. 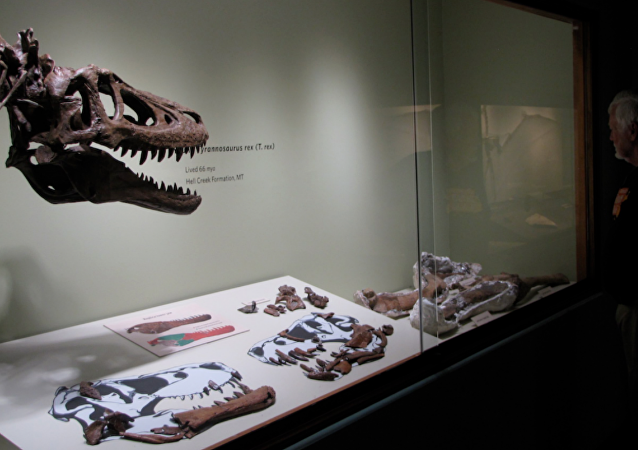 If you've ever wanted to own a dinosaur skeleton, it's time to start collecting your nickels and dimes, folks. 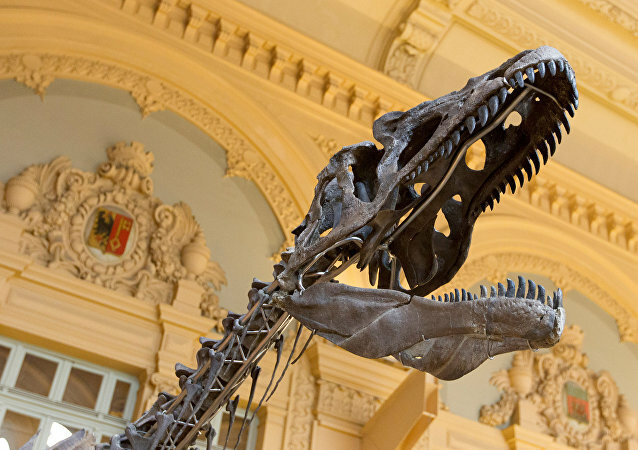 The skeleton belongs to a dinosaur which inhabited the African continent during the Cretaceous period; finding remains from that time in Africa is considered a great piece of luck. A member of the paleontology team and research fellow from Mansoura University, Sana al Seid, revealed details about the discovery in an interview with Sputnik. 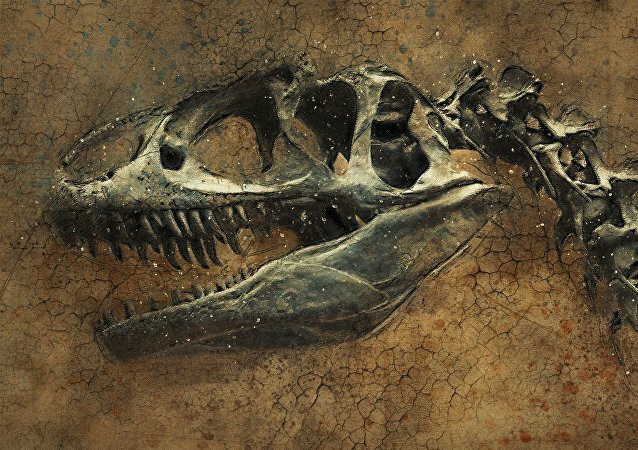 The fossilized remains of a previously unknown dinosaur which roamed the Earth 120 million years ago, offers scientists insight into the way our planet’s animal life once looked like. 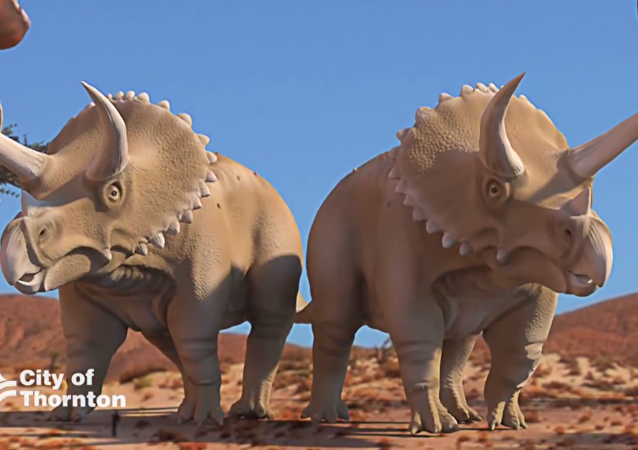 In an exciting discovery a team of paleontologists has unearthed fossils of a new species of dinosaur which lived in a valley between Australia and Antarctica some 113 million years ago. Last week, vandals partially destroyed a 115-million-year-old dinosaur footprint in an Australian national park. 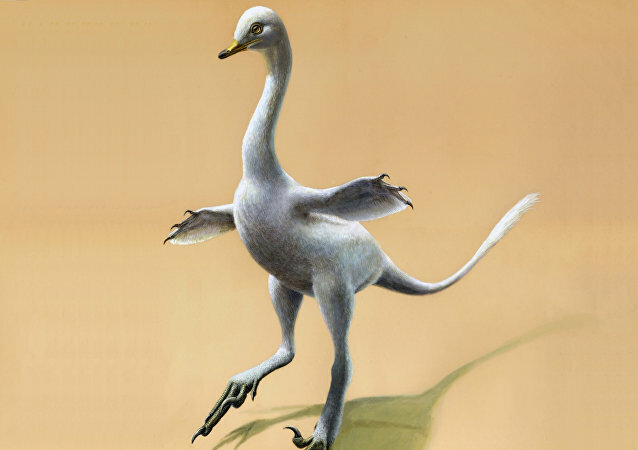 A newly discovered dinosaur has made headlines, mostly due to its literally nightmarish appearance, as it turns out to have a bill like a duck and teeth like a croc, coupled with a swanlike neck and double claws – on its hands and feet. 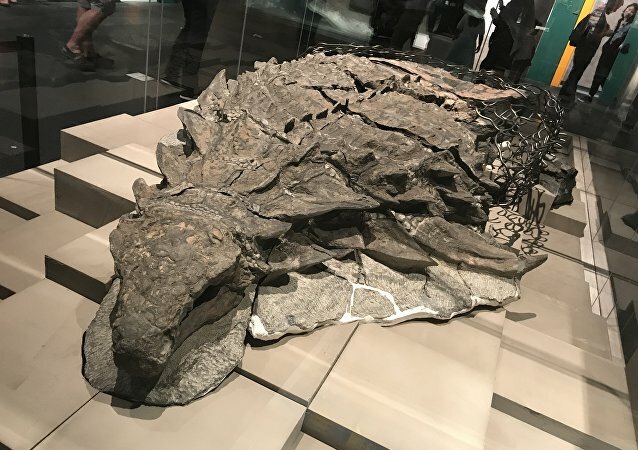 Construction workers in Thornton, Colorado, were in for a surprise after their deeper-than-normal digging led them to unearth the skull and skeleton of a rare triceratops Friday. 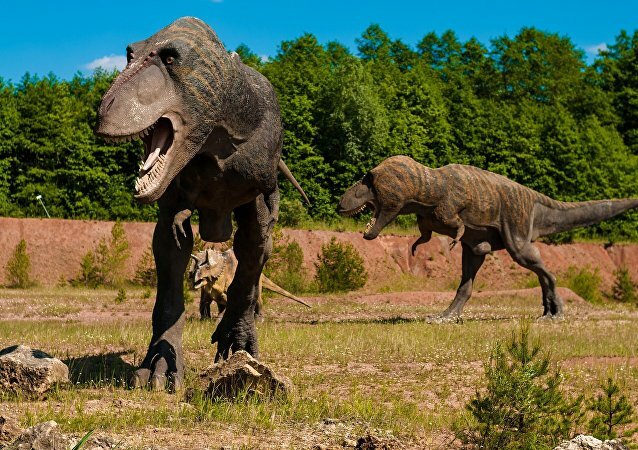 As heavy as a space shuttle and as large as seven elephants, Patagotitan mayorum has dethroned Argentinosaurus after being declared the biggest dino by experts. On Greenland, an ancient skull from a previously unknown animal has been found. The million-year-old fossil casts a new light on the wildlife of the ancient supercontinent of Pangaea, whereas previous research indicated that frigid Greenland might as well have been the place where life on earth originated.